These instructions will not be included with your dog fence. You should print this page if you are going to use the Above Ground Installation method. A common misconception about Underground Dog Fencing is that is needs to be buried "Underground". This unfortunate but understandable misconception often scares many people away from enjoying the freedom that these fences provide both you and your pet. 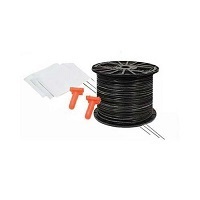 There is no need to spend a weekend burying the wire underground, or paying some one hundreds of dollars to bury the dog fence boundary wire when it can be installed above ground in only a matter of an hour or two. 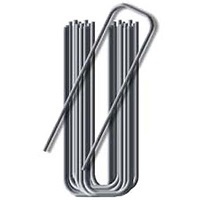 Using wire pegs you can "Staple" the wire to the ground. Within a matter of 7 - 14 days the root system of your lawn will grow over the wire and hide it completely from view, essentially "Burying" it into the lawn. Not only does this make the installation of your new pet containment systems hassle free, it also eliminates any potential loss of signal that may result from burying the boundary wire under several inches of dirt, not to mention the backaches and blisters it will save you. You are now done!!! It is that simple. If you are putting a fence into a pasture area where livestock such as horses or cattle will frequent, then you will want to bury the wire as their hooves will create breaks. In this case you will want the wire at least 8 - 10 inches underground. 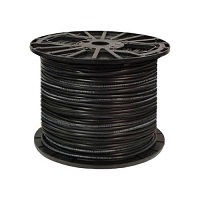 If you frequently have your yard aerated you will want the wire at least 5 - 6 inches in the ground. Although if you do an above ground installation you can simply avoid the exterior boundaries when performing the aeration.